As a business broker, we are obviously working for our vendors. However, it’s never nice to see a buyer enter a business deal without taking the proper advice, especially when entering a lease agreement. Whether it’s our business vendor leasing their premises or a separate landlord you should get some proper advice and do your research. What is a full repairing and insuring lease? This is exactly what it says and if you have never leased a commercial property it can be a bit daunting. This means that you will be signing up to insure and repair the entire building throughout the lease agreement. This places a great importance on a Schedule of Condition as you don’t want to be liable for problems that happened prior to you signing the lease. There are other options such as internal decoration only but the condition of a property can form part of an overall negotiation. How long is left on the lease? The period remaining on the lease is an important consideration for a seller or buyer. Personally, I like to think a few years remaining on the lease gives a seller the security that the buyer won’t just wait for the tenancy to end and take the seller’s position if they don’t want to renew. Selling with a few years remaining on the lease also gives the landlord little alternative than to start a new lease as long as the buyer wants more than a few years – why wouldn’t they? It would certainly not make sense for them to assign the remaining lease even though this gives the landlord even more security. A new lease should be viewed as a good thing and a new start for everyone! Is the lease under the Landlord and Tenant Act? As a buyer, it is very rare for a new tenancy agreement not to comply with this law. It gives you a right to renew the lease when it becomes available. This is subject to a few clauses but the landlord can’t refuse a new lease if you are prepared to sign again. This would give you the ability to take a long term view and invest accordingly. Who decides the length of a lease? This is normally a discussion between a landlord and an incoming tenant. However, this might be out of your hands if you are borrowing money to fund a purchase. The lender may require a long lease to ensure they will be able to lend the amount over a long enough period for a buyer to repay the loan. A lease break clause can be seen as a negative in their eyes so double check prior to getting too far down the line. Mark and Katrina are Business Partners covering the Derbyshire and Nottinghamshire areas. 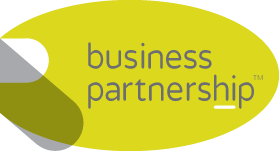 For professional, experienced and expert guidance, contact Mark & Katrina at Business Partnership.